Half-Hour Hegel: The Complete Phenomenology of Spirit (eventually): Major Announcement - Consciousness Section Finished! Major Announcement - Consciousness Section Finished! If you've been keeping up with the video series, you know that we've now covered five portions of the work -- the Preface, the Introduction, and then the three sections of Consciousness: Sense-Certainty, Perception, and Force and the Understanding. The very last installment for that last section -- video number 65 so far -- was released earlier this week. 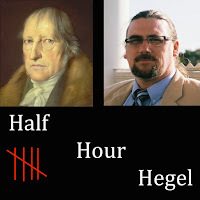 We've reached an important turning point both in the written work of the Phenomenology itself and in this Half Hour Hegel project. So, I'd like to take a bit of time to look back and reflect upon the latter, and to talk about why the former matters as well. We're now primed to step into the next section, the portion of Hegel's Phenomenology that tends to get the most press and play -- the part that people get most excited about -- Self-Conciousness, which includes the famous "Master-Slave dialectic." To be sure, as you watch it (and video 64, on paragraphs 162-163) -- or you read those last paragraphs of Force and the Understanding, its clear that we're already leaving that dialectic behind and moving explicitly to discussion of the nature of self-consciousness. But that, in its turn, still needs to be worked all the way through dialectically, which is what we'll be doing now in this new section. When one is engaged and involved in activity, in the middle of a complex project like this one -- with the many details the videos involve, rereading, reflecting, planning, getting in front of the camera and lecturing, creating and converting slides, editing, and then finally releasing and publicizing -- it is easy to lose sight of the "bigger picture," the overall direction and development of the project. That's one reason precisely why we need section breaks! From this vantage point, I think it is safe to say that we've officially crossed a line from an experimental new project, still largely in the planning stages, to an established project that has demonstrated its, as they say these days, "proof of concept." If I were to stop the entire thing today, not shoot one more video in the series(and don't worry, that's definitely not the plan! ), the 65 videos we have so far would still constitute a novel and valuable contribution in a number of ways. A commentary on a portion of a work is after all, good for that portion, and a guide that can take students, lifelong learners, professionals, and even other academics through at least a portion of this difficult text is a useful resource. That the commentary in question is a digital one -- consisting of about 33 hours of free open-access videos, available anywhere the internet goes and YouTube isn't blocked (e.g. China), publicized as a resource through social media -- arguably renders it a yet more valuable one, if I have indeed succeeded in making Hegel's convoluted thought accessible. What the successful product of a year-and-a-half of work and thought invested in the project -- and the fact that certain viewers have responded not only with comments but even with some financial support -- has indicated is the feasibility of continuing the series for several more years, all the way to the final paragraph, number 808. It's now clear that, in this case, the "if you build it, they will come" adage does hold. And that bears some really significant implications of much wider applicability for the work of philosophy in the public sphere and for the digital humanities more broadly. As far as I know, this is the first attempt at a systematic close reading of the entirety of a major philosophical work carried out in this digital medium in this manner. So, I'm hoping that the success to this point of this particular project not only opens the door to follow-up projects on my own part, but also inspires other scholars to create similarly detailed video series really engaging with texts -- building a new digital humanities library widening access to philosophy for generations to come. There is, to be sure, a worthy predecessor in the excellent course series Reading Marx's Capital with David Harvey, in which he takes his viewers through vols. 1 and 2 of the work in a series of 25 roughly 1-hour-and-45-minute videos. While I acknowledge a kind of kinship between what he accomplished, and what I'm currently doing, there are some relevant differences. For one, Harvey is a long-established Marxist scholar with a world-wide reputation, employing the resources afforded by his academic institution (e.g. filming, editing), whereas what I've been doing is very much more at the one-man (or mom-and-pop, since my wife has helped) DIY level. Harvey's Marx lectures demonstrate that when a major scholar decides to work with his institution to create valuable digital resources intended to broaden access to important but difficult theory, there is an appreciative and receptive public for that new type of work. 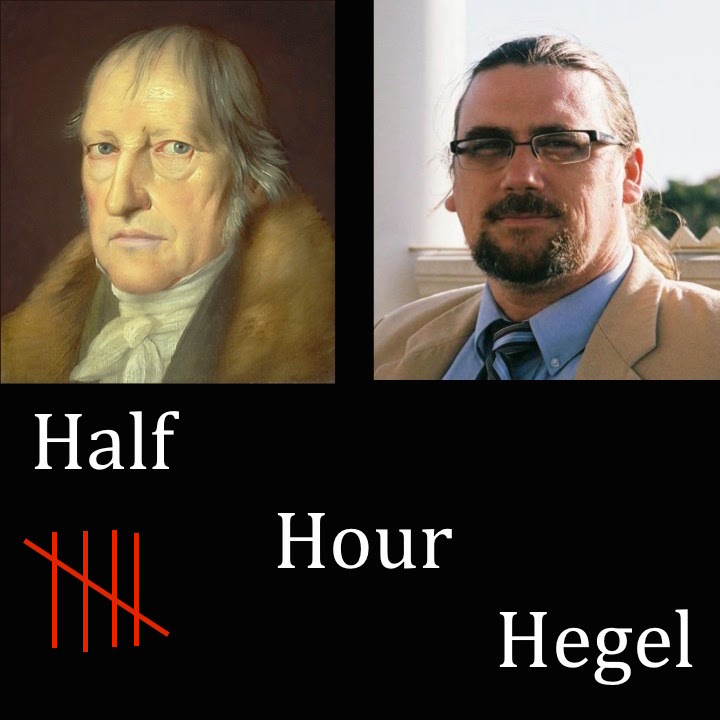 I'd like to think that the success of my Hegel lectures to this point suggest that there is an equally receptive, indeed hungry, public for less well-known scholars who are willing to share their knowledge of important texts and thinkers through digital media. You don't need to be famous in your field. You don't need the backing of a university. You don't need sophisticated filming and editing. If you can competently discuss your subject, if you can communicate a bit of the excitement you feel about it, if you can speak about it in ways that conduce to broader understanding -- and if you've got a flipcam, a tripod, a chalkboard, a laptop, and a YouTube channel -- you can create a similar digital commentary on any work you choose and have it viewed and used by thousands of people worldwide. Open Culture Features The Project!